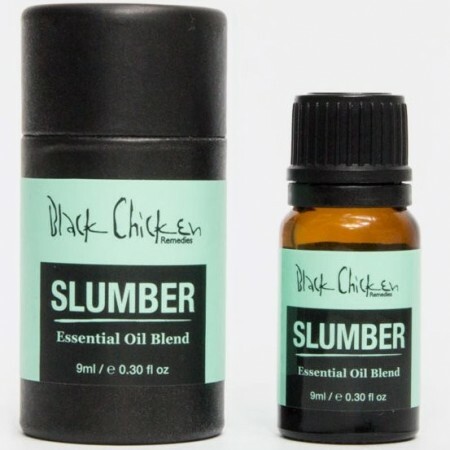 This Essential Oil Blend relaxes and gets you ready for bed - helping to reduce tension and anxiety, and promotes relaxation before a deep slumber. Black Chicken Remedies aromatherapy oil aims to help the wellbeing and health of your body and mind. 9ml. Cedrus Atlantica (Cedarwood essential oil), Citrus Bergamia (Bergamot essential oil), Cinnamomum Zeylanicum (Cinnamon essential oil), Vetiveria zizanioides (Vetiver essential oil), Lavandula Angustifolia (Lavender essential oil), Anthemis Nobilis (Chamomile essential oil), Origanum Majorana (Marjoram essential oil). I sprinkle this on my mattress and pillow and it does smell good.